Online recruitment research has time and again addressed the issue of lack of credibility of online job advertising media compared to traditional media such as newspapers and the issue of poor quality web design in E-recruitment. 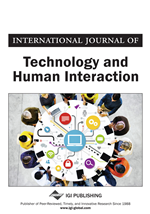 In this paper, the issues of lack of credibility and quality of E-recruitment channels have been addressed through the introduction of a) realistic job previews (RJP), b) company independent channels for advertising jobs online (for example Blogs), and c) podcasts for corporate previews in online job website design. Final year post-graduate students about to enter job market (N=457) took part in a 2x2x2 factorial experiment. The findings give distinct indications of the advantage of use of the above mentioned web design features on applicant perception of quality, credibility, and their subsequent development of organizational attractiveness and intention to apply for a job in the firm. Recommendations for practitioners have been highlighted through illustrated examples. One way of enhancing credibility of E-recruitment message may be through use of realistic job previews. Popovich and Wanous (1982) define a realistic job preview (RJP) as a ‘persuasive communication that is designed to change attitudes about the job and the organization’. RJPs have developed based on the assumptions of the realistic information hypothesis (Meglino, Ravlin & Denisi, 1997; Breaugh & Starke, 2000), which states that people recruited through certain sources (e.g. employee referrals) are likely to possess more accurate information about the job and the organization compared to other sources of job information (for e.g. campus placement officers, newspaper ads etc).